The 52nd BITEF festival explores the somber themes of political, social and individual decay, through some of Europe’s most accomplished avant-garde theatre productions. The Belgrade International Theatre Festival, BITEF, remains one of the most important theatre events in the region. After 52 years, it has put Serbia high up on the theatrical map of Europe. Throughout that period Bitef has consistently been a relevant, and even an essential, contributor to Serbian and European culture. As an institution, it has not hesitated to question current dogmas and beliefs, and to shake up the status quo with its carefully curated programmes, selected by top theatrologists, authors and directors. This year’s BITEF runs from September 13 to 22 and will host ten plays in various venues around Belgrade, including the Yugoslav Drama Theatre, National Theatre, Belgrade Drama Theatre, Bitef Theatre and Sava Centre. The slogan of this year’s festival, “World Without Us”, has a threefold meaning. It contemplates a world without “us” as the “good people,” which is where most politically-themed projects are represented. The second meaning refers to a world literally devoid of people, as a result of an imminent apocalypse. The third context is the context of death – of being gone from this world. The slogan, as well as the themes, point to the atmosphere of looming destruction that haunts contemporary European societies. It is no wonder that so many artists find this idea pressing and are urgent to express it. The festival, as usual, opens with a “prologue,” an introductory play or performance setting the vibe of the festival. 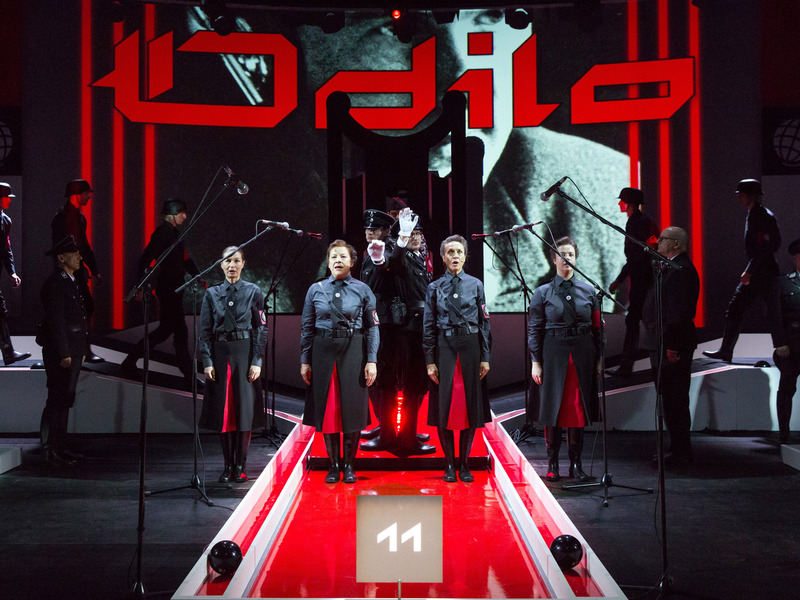 This year’s prologue is a play directed by the Slovenian director Dragan Zivadinov, one of the most prominent figures of the Yugoslav avant garde in the 1980s and particularly of the Neue Slowenische Kunst movement.